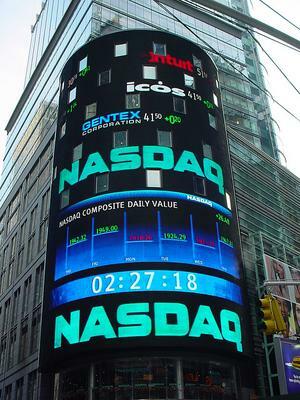 Home » Business » Hackers infiltrate Nasdaq! Hackers have broken into a Nasdaq service that handles confidential communications for some 300 corporations. The company said, exposing another vulnerability in the computer systems that Wall Street runs on. The infiltration of Hackers did not affect the trading systems of Nasdaq and no customer data were hacked. It did not cause any unwanted panic in the Nasdaq trades. A federal official told AP that the hackers broke into the service repeatedly over more then a year. Investigators are trying to identify the hackers, the official said. The motive of the hackers is not known. The official spoke on the condition of anonymity because the inquiry by the FBI and Secret Service is continuing. In 1999, hackers infiltrated the Web sites of Nasdaq and the American Stock Exchange, leaving taunting messages, but Nasdaq officials said then that there was no evidence the break-ins affected financial data. US Government Shutdown 2011 ? Next: Fans to decide Barbie and Ken’s Future ?